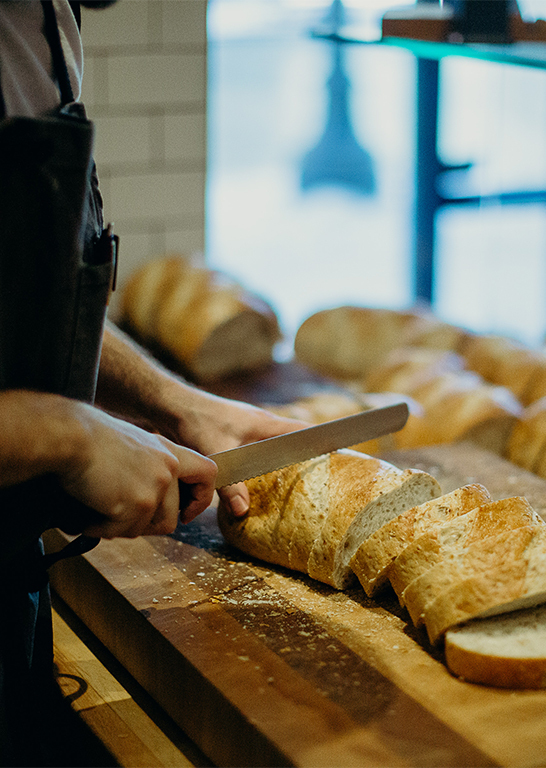 Our Bakery — City Bread Co Ltd.
As a local family owned business, City Bread strives to be an active member of our community and to further our industry. We are a large donor to the food sector programs at Red River College. In 2013, we sponsored the development of a baking lab and classroom at RRC’s Princess campus in downtown Winnipeg – The City Bread Co. Ltd. Professional Baking Lab at Paterson GlobalFoods Institute was established. We also contribute annually to the scholarships and bursaries presented to exceptional students in RRC’s baking and cooking programs. We are proud to serve on the Professional Baking Advisory Committee, which provides input for the development and continuation of the Professional Baking diploma program. For over 20 years, we have held a seat on the executive board as an associate member of the Winnipeg branch of the Canadian Culinary Federation – CCFCC. Our goal as members is to assist member Chefs and Cooks with their professional and philanthropic endeavours, as well as to listen to their needs and hurdles they face in a constantly changing industry. In our community, we make many donations of product for homegrown events, initiatives, fundraisers, numbering too many to list individually. We are proud to be a major sponsor with Ronald McDonald House children’s charities.